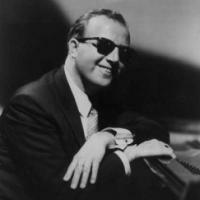 This Wednesday, February 16 from 5:00am to 9:00pm, WKCR will dedicate a memorial broadcast to the pianist George Shearing, who passed away on February 14 at the age of 91. Blind from birth, Shearing was a young star in his native United Kingdom, and attained fame quickly when he moved to the United States with his hit "September in the Rain." His quieter, gentler style proved an appealing alternative to the frantic bebop that was dominant at the time, and his signature quintet - containing the unusual instrumentation of piano, vibraphone, guitar, bass, and drums - landed a regular gig at the famed club Birdland. Later in his career, Shearing shifted his focus from his quintet towards smaller ensembles, notably accompanying singer Mel Torme on two Grammy-winning albums. Shearing was also a prolific jazz composer, and his tune "Lullaby of Birdland" remains one of the most enduring jazz standards. Tune in this Wednesday to hear a 16-hour tribute to this great piano master.